Yarn Type SALE 30% OFF! A wonderfully soft and cosy yarn with a gorgeous fleecy texture. It comes in a range of turbo-dyed colour effect shades, these include soft, powdery colours, as well as stronger, more vibrant ones too. 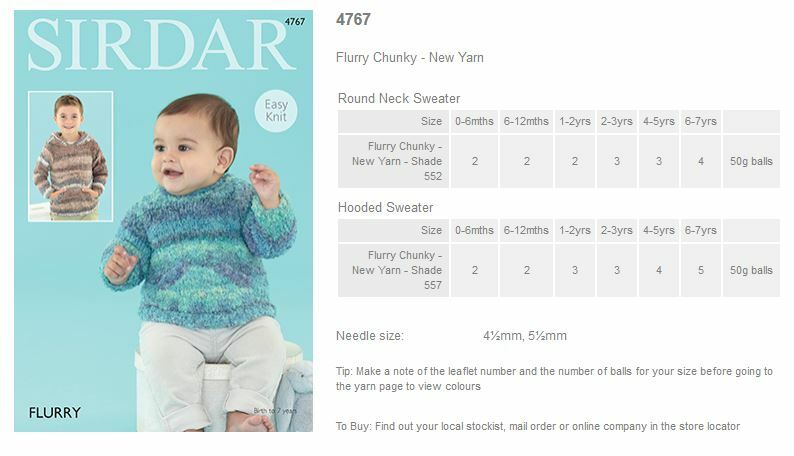 Flurry is the perfect yarn for creating the snuggest of knits for all the family and we have a gorgeous collection of designs with patterns for women, children and babies. Flurry Chunky is machine washable on a wool cycle.. 100% Polyester. 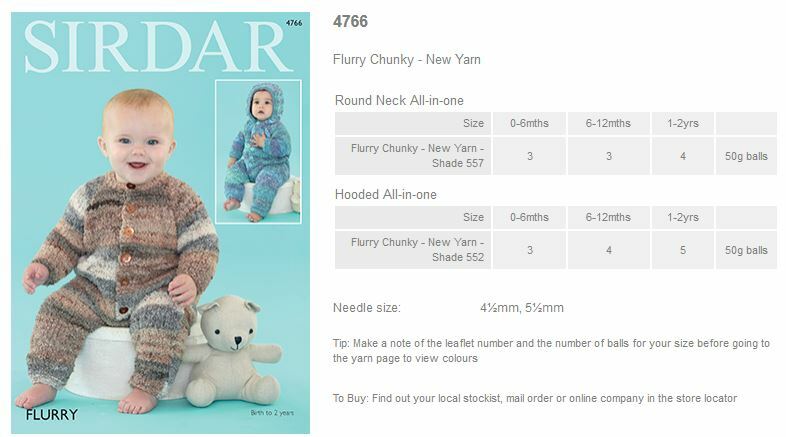 Leaflet with designs for Round neck and Hooded All-in-ones using Sirdar Flurry Chunky. 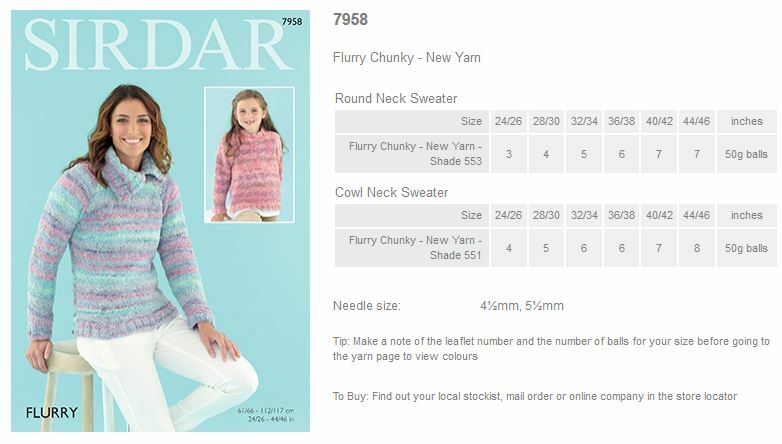 Leaflet with designs for Round neck and Hooded Sweaters using Sirdar Flurry Chunky. 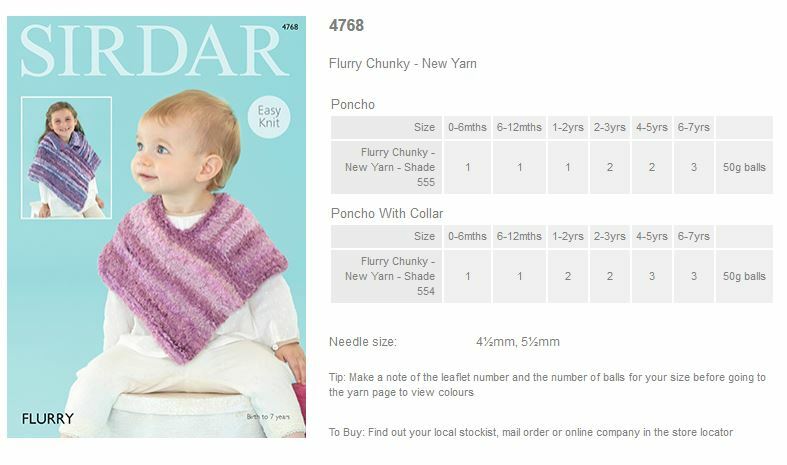 Leaflet with designs for a Poncho and Poncho with Collar using Sirdar Flurry Chunky. 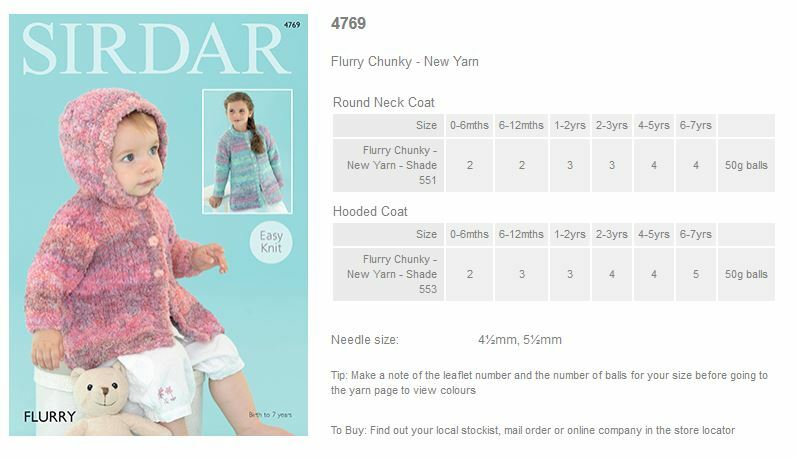 Leaflet with designs for a Round Neck Coat and Hooded Coat using Sirdar Flurry Chunky. 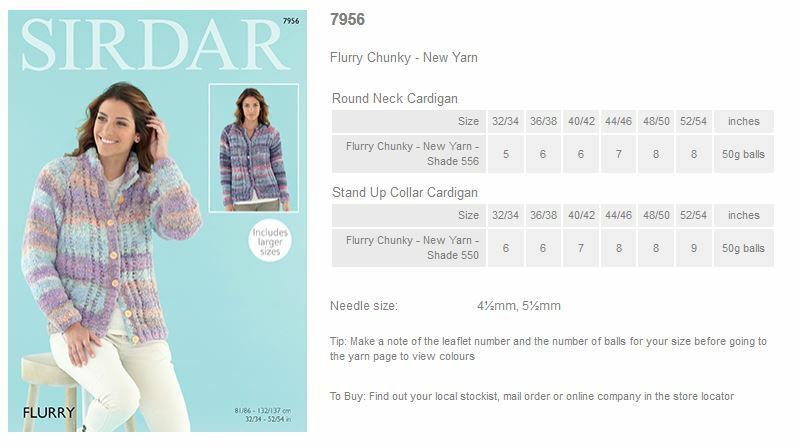 Leaflet with designs for a Round Neck Cardigan and Stand up Collar Cardigan using Sirdar Flurry Chunky. 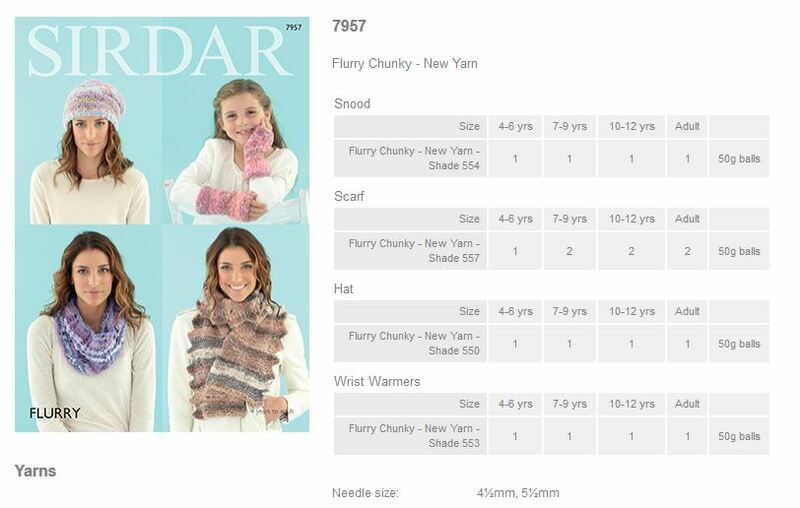 Leaflet with designs for a Snood, Scarf, Hat and Wrist Warmers using Sirdar Flurry Chunky. Leaflet with designs for a Round Neck Sweater and Cowl Neck Sweater using Sirdar Flurry Chunky. 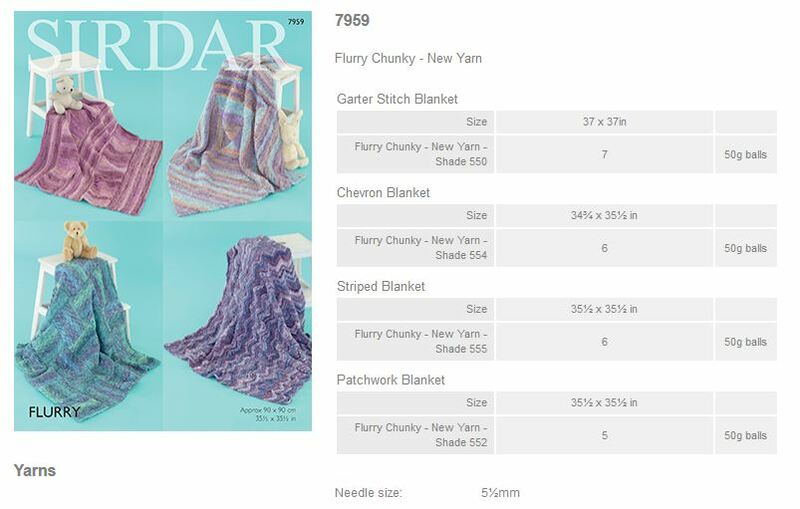 Leaflet with designs for Garter Stitch, Chevron, Striped and Patchwork Blankets using Sirdar Flurry Chunky. 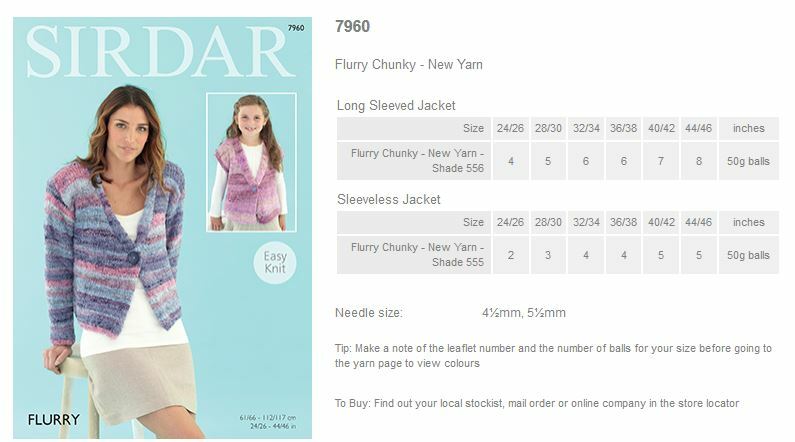 Leaflet with designs for a Long Sleeved Jacket and Sleeveless Jacket using Sirdar Flurry Chunky. 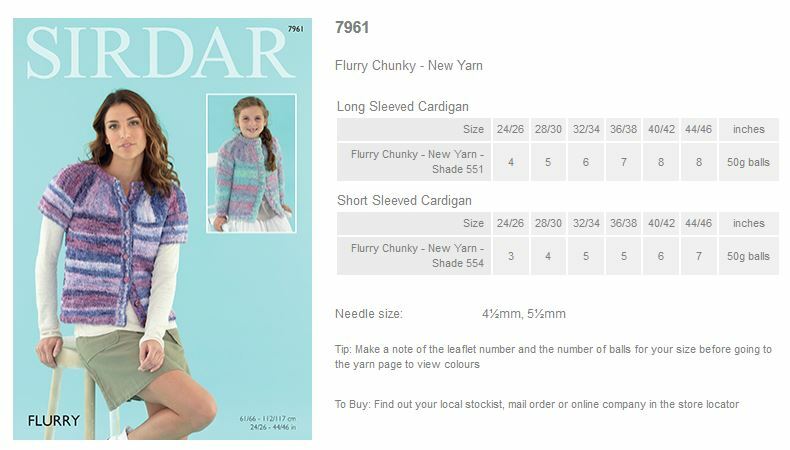 Leaflet with designs for a Long Sleeved Cardigan and Short Sleeved Cardigan using Sirdar Flurry Chunky.